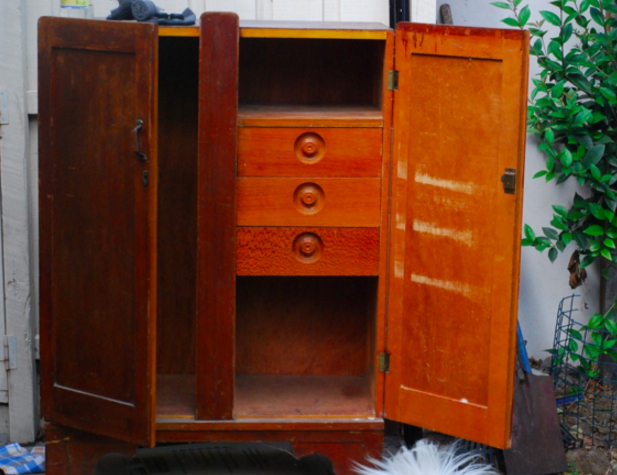 When to Get Rid of Old Furniture? When It's Haunted, That's When. If you don't know what saging or cleansing is, you're gonna want to learn by the time you're done reading this, especially if you like to go antiquing. We've all been to an antique store and sometimes we see something that creates a little nostalgia or maybe even gives you goosebumps. There may be more to it than just fond memories; some believe the sprites are so strong and numerous in antique stores that you're almost guaranteed to bring home a haunted item. 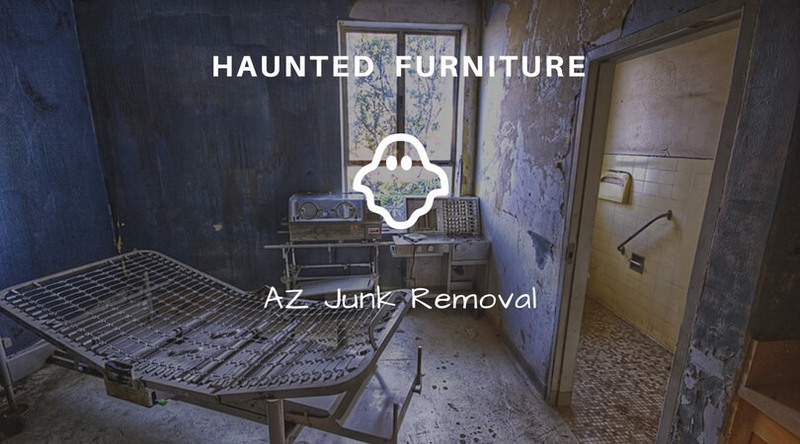 Don't believe that furniture can be haunted? Well, here are a few of the world’s most famous pieces. This creepy silver vase has a mystery all of its own. No one knows where it came from or how old it is, but most believe it was created in the 15th century. 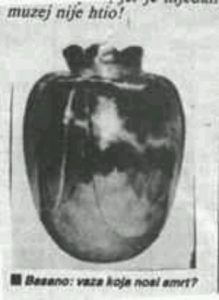 In 1988 it made its auction debut with a sign attached which read: “Beware, this vase brings death.” The Italian man who purchased it died four months later ... the next owner, died four months later … the next guy only made it 3 months before the vase 86’d him. Rumor has it, this trend continued for years before the police buried it in a secret location. This antique and ugly chair is said to have caused the deaths of at least four people. It’s 200 years old and in that time it has probably been sat on by dozens of people, but only four of those have died. 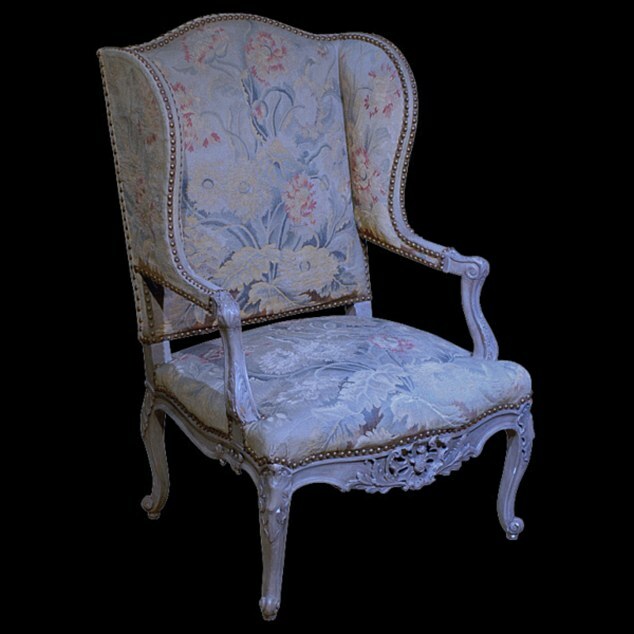 Although it’s rumored to have been owned by Napoleon, we’re not sure his feet would have been able to touch the floor if he sat in it. On the other hand, he is dead, so maybe this death chair was his. This isn’t your fun-loving Witch in the Wardrobe tale, this wardrobe is believed to be haunted by the spirits of two young children. During World War II, two kids used it as their hiding place from German Bombers. It was most recently purchased in 2009 and many people claim to have heard the crying of children inside every night. Items hold on to the spirits of the previous owners based on how attached they were to the item. The more they loved it and used it the stronger their presence is felt. Not all haunted items are death machines, some just stay in touch with those who loved it best in the past. Either way, spiritual experts say old things hold onto the spirit of their owners because they have not yet crossed over. What To Do if You Suspect your Furniture is Haunted. If you think a spirit may have followed you home in your new antique whatever. Then take the following steps, they might seem silly but hey you actually believe there is a spirit in your new coat rack, so it's not any more ridiculous than that. There are a lot of reasons a spirit doesn’t cross over, so to help it along try talking to your spirit with compassion and empathy, then kindly ask it to leave. Apparently, that works sometimes. You can try cleansing your creepy antique furniture with a saging. Go to your local voodoo shop and get a sage stick, basically a bunch of sage wrapped up in a hemp rope. Light up the big sage doobie and wave the smoking stick around in a clockwise motion over your haunted furniture. If your furniture is still haunted, try putting a sign on it warning others of its ghostly nature, then put it up for auction, maybe you can make a few bucks. And of course, if all else fails, you can contact your local furniture hauling company and just mix it in with all the other unwanted items you have to get rid of...done and done – problem solved on your end right? Well, let's hope so. We Will Beat Any Competitor’s Price! We offer upfront hauling pricing that's lower than the competition. Our pricing stays lower, too – no surprise increases or hidden fees. Our dedication to our customers extends to our low-price guarantee: if you can find a lower price from a legitimate competitor, we will match it. © 2007-2018 Arizona Junk Removal. All Rights Reserved.